September 22, 2011. By George Roberts. Today’s fashion industry is no longer catering to just women; men’s fashion is breaking on to the scene in a very big way. These days men are becoming more personally involved in how they look and feel about themselves. Years ago many male models in the industry were misjudged for embracing fashion; when at the time most men’s attire was, shall we say much less evolved. Today, things are quite a different story. In today’s world of fashion we find many designers and stores specifically tailoring themselves for the needs, wants, and styles specific to men. Many years ago, a young man named Jeffrey M. Petersen from Toms River- New Jersey, had an idea of opening a store, specifically suited to men’s formalwear, in regards to attire for weddings, sweet sixteen’s, graduation and special occasions. That store was called TUXEDO DEN located in Howell, New Jersey. This year TUXEDO DEN is completing its 15th Anniversary, and I can tell you from my experience the store is very busy. TUXEDO DEN is my, George Roberts (Host of VEJATV.COM & The Fashion Channel), favorite store when it comes to my formal looks. 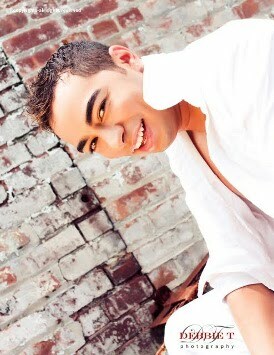 I was recently in need of a new style and look for both a new TV Production and interviews during fashion week. They dressed me up with two beautiful tuxedos for an amazing video and Photo shoot done by Marcelo Valente and Lazaro Dias (NJ/NY Local Celebrity photographers). It was fantastic working with Jeffrey Petersen and Brandi Annecharico (Jeff’s assistant and Designer). Today TUXEDO DEN is run by a very efficient crew to make your experience a memorable one. They are: Jeffrey Petersen CEO/Founder, Brandi Annecharico Lead Stylist, Ron Wolff Director of Sales and Marketing, Louisa Timofeyev Master Seamstress and Consultant, Justin Hatfield Marketing\Event Coordinator. TUXEDODEN is not just a simple store where people come to rent tuxedos; they are efficient and knowledgeable in men’s elegant clothing and the clients recognize how special they are in terms of service. TUXEDODEN has won four “best of” awards over the last four years and it shows from the moment you walk through the showroom doors. Last Friday September 16, Jeffrey and his Lead Stylist Brandi were attending the COUTURE Fashion week Show in New York City (The biggest Fashion event in NYC) where many important leaders in the fashion industry were in attendance. Designers and Models know about them and also the type of work the company does in New Jersey. “I guarantee quality in our service” says Jeffrey Petersen (CEO/Founder). And they say: “We are proud to offer your choice of two great wedding specials, both available with one great award winning service. No matter what the date of your wedding, whether it be 2011 or beyond, you can start your booking process now, and finish later to lock in your savings. CALL TODAY to get started!” Contact TUXEDO DEN and visit the store. Be fashionable!!! Best Ecuadorian designer in 2010, after showcasing all around the world her designs are sold in Miami, Panama, Mexico and Ecuador. *SARLI COUTURE (Italy) spring 2012. One of the most prestigious names of Rome's high fashion trade, Sarli Couture has dressed celebrities such as Liz Taylor, Bianca Jagger, Monica Bellucci ,Carla Bruni and made with famous names such as Valentino, the early days - and ever since - the prestigious ALTA ROMA/ALTA MODA in Rome. The Big Apple is the City of Fashion... So have fun!!! Be Fashionable!!! September 14, 2011. By George Roberts. Couture Fashion Show 2011 New York City. Once again the COUTURE FASHION SHOW is happening in the City of Fashion on September 16 at the Waldorf-Astoria. Once again lots of designers will be there and Simone Rodriguês – SISA Designs (The Brazilian Queen) is bringing to the catwalk her new collection. Simone Rodriguês is from Belo Horizonte (Brazil) and she started designing when she was a little girl. Her passion was growing day by day and now she became one of the strongest names in the Fashion Industry. She worked as a model for ten years before launching her own label in 2004. 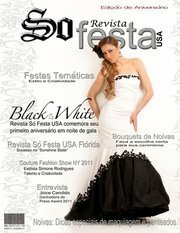 Sisa Designs has shown on the runway in numerous fashion shows in Brazil and USA, including at many charity events. SISA’s designs have been worn in various beauty pageants, celebrities like the actress and producer Crystal Santos, Amanda Baker (actress – All my children), Brittany Simpson and Karen Hoyos and she is a favorite designer of a number of top Brazilian celebrities. She was already nominated to the 10 Best Dressed Awards- by Leonard Simpson. Sisa Designs are inspired by nature and rendered in warm tones focused on accentuating a woman's unique beauty and sensuality with classic elegance regardless of age or size. The garments are made of the finest hand-selected fabrics including chiffon, silk, lace and taffeta, often creatively embellished with feathers, flowers and crystals. Perfect cutting and draping make each design smooth and stunning. Lines include swimwear, evening and bridal gowns as well as accessories. For sure you cannot miss the Couture Fashion Show. This year all the designers will show clothes that you will be in love. Great show!!! Wonderful designers!!! And Simone Rodriguês- SISA designs will bring glamour and elegance to you. New Jersey. September 13, 2011. By George Roberts. Last night September 12, In São Paulo (Brazil) the biggest pageant event happened. Leila Lopes (25 years old) is a Business student. Leila beat out 88 other contestant and created history by becoming the first Angolan MISS UNIVERSE. During the competition she was a DIVA and her beauty, intelligence show the world that she is more than just a beautiful face. How many women dream about becoming a MISS one day? For sure lots of them, but to be a miss is not just being beautiful. It is more than that. New York. August 1, 2011 by George Roberts. IATI Theater presents its fourth annual 2-week festival “PAM 2011” (Performing Arts Marathon 2011) featuring La Cena (The Dinner). At IATI Theater, 64 East 4th Street, New York. On August 4th at 8pm and August 7th at 3pm. The production will be in Spanish. La Cena (The Dinner) is an intimate theatrical experience in which the audience, sharing wine with the actors, becomes witness to the unraveling of a psychological thriller. After five years apart, Giovanna returns to her father’s house to introduce her new fiance, Francesco. Her father lives alone, accompanied only by his unwaveringly loyal servant, Fangio. As if it were one more dinner guest, the past crashes in and disrupts what could have been the only chance at reuniting. The director and actors have worked together on a number of productions at Repertorio Español including: Once Five Years Pass, In the Time of the Butterflies, Chronicles of a Death Foretold, Doña Flor and her Two Husbands, Life is a Dream and Don Quixote. Tickets are $20 online and $25 at the door. To buy online, go to www.iatitheater.org. Tickets for seniors and students are $18 online and $20 at the theater door. Raúl Durán. As a director: Delirios y Canciones with the singer-songwriter Francisco Cespedez and Micalea. Diva, mambisa y chancletera, and Galapago by Salvador Lemis. As an actor in Repertorio Español: There’s no better friend nor worse enemy, Once five years pass, Pantaleon, Doña Flor and her two husbands, Chronicle of a death foretold, Fiesta del Chivo, Don Quixote, Ana in the Tropics. Theatre credits in Florida include: Fresa y Chocolate by Senel Paz; Delirio Habanero by Alberto Pedro, La Chunga by Vargas Llosa, Doña Rosita la soltera by García Lorca and La noche by Abilio Estevez. Cuban television credits: “Los Hermanos” by Eduardo Macías and “Shiralad” by Chely Lima and Alberto Serret. With Univisión and Telemundo he has appeared in “Guadalupe”, “Morelia”, “Dame Chocolate”, “Pecados Ajenos”, “El rostro de Analia” and “Al filo de la ley”. Ana Grosse. New York theater: Bad Evidence (The Cell Theatre) Fêtes de la Nuit (Ohio Theatre), Firehouse (47th Street Theatre), Coupling Heuristic (Manhattan Theatre Source), Enemies, A Love Story (Steps Theatre), Phaedra's Dilemma (Impact Theatre), Movie Date (Roy Arias Theatre), Poison (Atlantic Stage 2), The Exonerated (Foster Street Productions), Once Five Years Pass, The House of Bernarda Alba, Chronicle of a Death Foretold and Way to Heaven (Repertorio Español). International: Adelaide Arts Festival, Next Wave Festival and Adelaide Fringe (Australia), and Theater Festival Mercosur (Argentina). Gerardo Gudiño. In Argentina: Where are you going Hollis Jay? ; The rebounding kiss; Between Muses and spaghettis; The hour in which we didn’t know anything about each other and You were going to find out, one day, anyway. At Repertorio Español: Chronicle of a death foretold; Yerma; Bloodwedding; The badblood; Don Quixote; Life is a dream (nomination ACE award); Boxcar; Doña Flor and her two husbands, The girl that died often, Once five years pass. In other NY theaters: Pandora’s Box; The arrogant Spaniard and The Guest and the Void (ACE nomination and Hola award recipient). In English: A place without seasons and Loveless scenes. Alfredo Huereca. In New York City he has performed at Repertorio Español, Puerto Rican Traveling Theater, IATI, and other Off and Off-Off-Broadways venues. He received the 1998 Best Actor Award by the ACE, Associación de Críticos de Espectáculos, for his performance in Caprichos. As Founder, Artistic Director and Producer of World View Productions, Inc., on May 2011 he brought to the stage the Off-Broadway production of Cayendo con Victoriano, directed by Luis Martin, where he performed the leading role of the Mexican Dictator, Victoriano Huerta. With this production, his company has been invited to participate at the International Theatre Festival in Monterrey, Mexico, on August, 2011. Besides his work on-stage, Mr. Huereca has appeared on film, TV and has participated in numerous radio and TV commercials. June 5, 2011 - Mari Twins interviewed special guests like TheSalonGuy, Justine DiVanna and music by DJ Mav Ric. Tonight was a very special night to George Roberts (Reporter of VEJATV.COM). These girls are very professional and they do an amazing job! Every single event they show up and always bringing something new. Two weeks ago they produced a fashion show at 46 Fashion Lounge and it was very well produced and three fantastic designers like SISA Designer (Simone Rodrigues), Cristina Madrona and Sandra Baquero showed their collections. Mari twins with their work support lots of people and they are very into fashion world. Each day these two sisters are achieving their space in the media and everywhere they go people talk about them. Beauty, intelligence and elegance are three adjectives very important when we talk about Mari Twins. May 27, 2011 -Totowa, NJ. Flash, cameras and action because once again the Mari Twins produced and hosted a wonderful fashion show. It happened at 46 Fashion Lounge in New Jersey. Very important and beautiful people showed up to enjoy the event. We had people from different kind of medias including Photographers from everywhere and My LifeStyle Magazine the top Latin magazine By Alvaro Altamirano and his group. Making the night brighter we had Karen Hoyos (Global Transformational Trainer and Cover of My Life Style Magazine). Tonight all the flashes were to our designers Simone Rodrigues (Sisa Design), Cristina Madrona (Madrona Inc.) and Sandra Baquero. Sisa brought a different line tonight, beautiful dresses in silk, also beautiful hat line. Sandra Baquero showed a Swimming suit line. And Cristina (Fantastic on High Volume Fashion show) and tonight she innovated with her Brazilian Swimming suit style. Glamour, beauty and sophisticated designs. Everything was stunning! In her first appearance at Couture Fashion Week, designer Simone Rodrigues presented her collection under the Sisa Designs label on Saturday September 11, 2010 at 6:00 p.m. The fashion show was held in the legendary Grand Ballroom of the world-famous Waldorf Astoria hotel on Park Avenue. A native of Belo Horizonte, Brazil now based in New York, Simone Rodrigues is the creative fashion force behind Sisa Designs. Ms. Rodrigues began designing and sewing at the age of ten and went on to earn a degree in Fashion Design, Business and Marketing. She worked as a model and freelance designer for ten years before launching her own label in 2004,Sisa Designs by Simone Rodrigues to show at Couture Fashion Week New York focusing on exporting to Europe and the Caribbean. Sisa Designs are inspired by nature and rendered in warm tones focused on accentuating a woman's unique beauty and sensuality with classic elegance regardless of age or size. The garments are made of the finest hand-selected fabrics including chiffon, silk, lace and taffeta, often creatively embellished with feathers, flowers and crystals. Perfect cutting and draping make each design smooth and stunning. Lines include swimwear, evening and bridal gowns as well as accessories. Sisa Designs has shown on the runway in numerous fashion shows in Puerto Rico, Brazil and the USA, including at many charity events. Ms. Rodrigues's designs have been worn in various beauty pageants and she is a favorite designer of a number of top Brazilian celebrities. Mari Twins, congratulations! You guys really know how to shine! The best wishes to our wonderful designers!